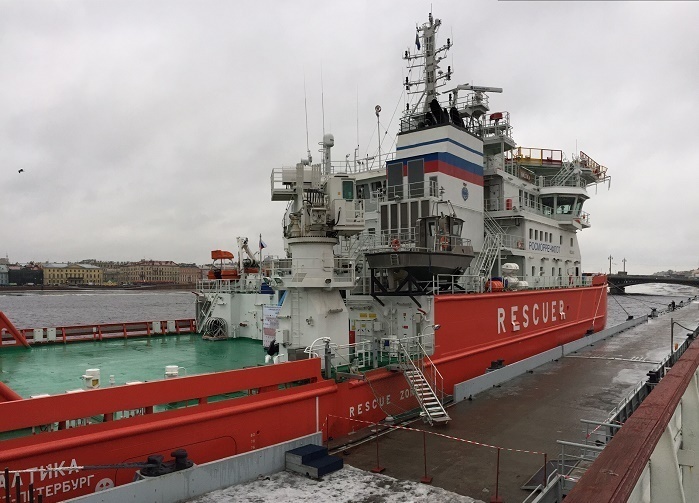 On February 20, 2015, ceremonial hoisting of the flag of the Russian Federation was held in Saint-Petersburg on board multipurpose emergency and rescue vessel Baltika of project Р-70202 (registered in Big Port St. Petersburg) built for Rosmorrechflot’s Sea Rescue Service, IAA PortNews journalist reports. 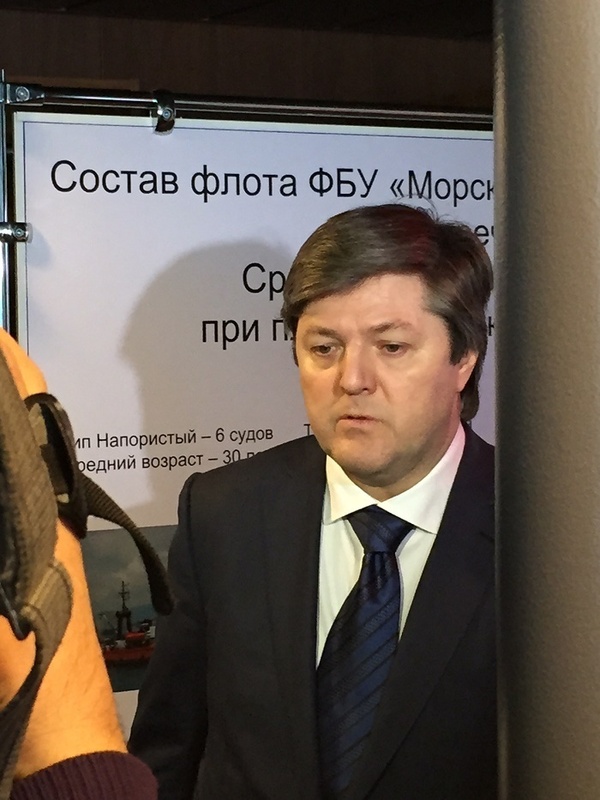 The ceremony was attended by Deputy Transport Minister Victor Olersky, President of United Shipbuilding Corporation Aleksey Rakhmanov and head of Federal Marine and River Transport Agency (Rosmorrechflot) Aleksandr Davydenko. The works on construction were carried out by Shipyard Yantar (Russia, Kaliningrad region) jointly with Arctech Helsinki Shipyard Inc. (Finland). The contract value – RUB 3.274 bln. The icebreaker’s main particulars: Length - 76.4 m, Breadth overall - 20.5 m, Depth – 9m; Draught maximum - 7 m, Propulsion power max - 3×3,000 МW, Speed - 14 knots, Crew - 24, Class notation – KM Icebreaker6, , AUT1-ICS, OMBO, FF3WS, EPP, DYNPOS-1, ECO-S, Oil recovery ship (>60°C), Salvage ship, Tug, HELIDECK. The vessel was laid down in Kaliningrad on June 6, 2012. Under the contract, Yantar, as the principal executor of the order, was in charge of hull works. They were completed in May 2013 and the ship then underwent fitting-out in Finland. Baltika was launched on December 12, 2013 and fulfilled the programme of sea trials in the Baltic Sea. Rosmorrechflot took the delivery on December 30, 2014.